If you saw a few unfamiliar canine faces in your office this morning, that’s because Friday, June 24 is Take Your Dog to Work Day. In honor of the offbeat holiday, the dating and social networking app SKOUT surveyed 2244 users about their opinions on pups in the workplace. The survey results in the infographic below make a pretty strong case for making every day Take Your Dog to Work Day. Seventy-eight percent of office workers said dogs made employees feel happier at work while 67 percent said their presence helped reduce stress. And if your boss worries that dogs running around the office might be a distraction, you can tell them this: 51 percent of office workers said dogs help boost productivity. Pet-positive workplaces are slowly gaining popularity. 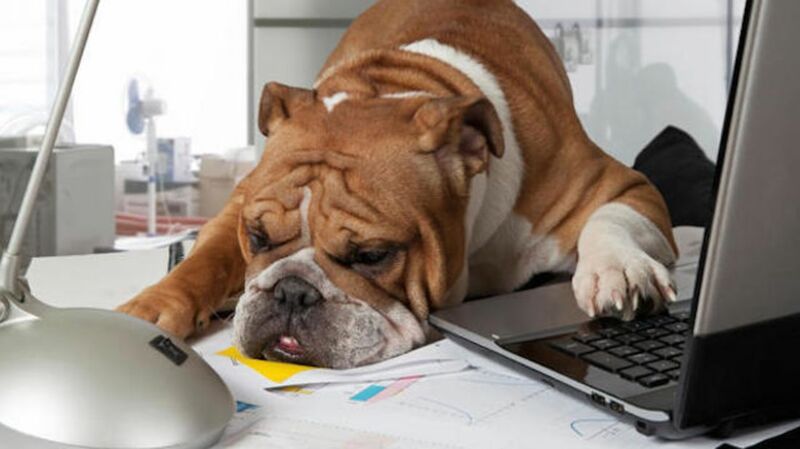 Twenty-one percent of office workers surveyed reported bringing their canine companions to work with them. Take Your Dog to Work Day is a good opportunity to get a taste of the dog-friendly office life.